Here you will find out about the different learning adventures that we are having in our class this year. We hope that you enjoy discovering what we are doing this year. Take a moment to step outside and stand quietly and still. Turn off all your technology and try to forget the modern world. Imagine this place 5000 years ago. What would you have seen? Head back to prehistoric times (it’s a long time ago) to gather berries and hunt down dinner. 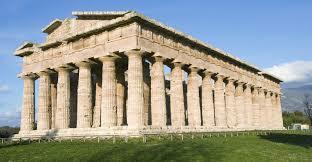 Unearth ancient objects and visit astonishing mystical monuments that reveal the secrets of an ancient time. 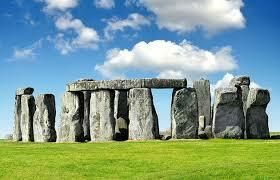 Learn how the people of Britain developed over thousands of years from the Stone Age to the Roman invasion. Work as a tribe to build a seasonal monument to celebrate the coming of Spring. Then sit quietly and reflect, waiting for the sunrise. What tribal tales will you have to tell? From humble beginnings the river flows down the mountain and into the sea. Pull on your wellies and wade right in.. How deep does it go and how fast does it travel? What soil types can you find by the riverside? Which animals make their homes there? Let’s get down to the river bank and find out! Now hop on an imaginary boat and travel some of the world’s most majestic rivers – the Ganges, the Thames, the Amazon and Nile - and keep a journal as you follow their course. Time to investigate! As part of the local news team, it’s your task to track down the source of some mystery pollution. Where did it come from and who is to blame? 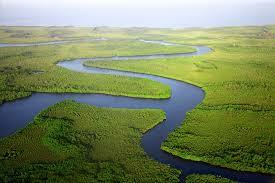 Let’s meander through the world of rivers, taking a dip into their watery world! From nothingness came chaos, from chaos came air and water, form air and water came life! Then, rising majestically from the darkness, came Gaia, Mother Earth, a beacon of warmth and light. Discover a fantastical world full of mythical creatures and legendary heroes. Poseidon, Apollo, Artemis and Zeus reign almighty from Mount Olympus, watching mere mortals on dusty Athenian streets. Meet Theseus, the hero, and Helen of Troy, the beautiful face that launched a thousand ships. Explore the terrains of Greece, where in pure blue skies, the sun scorches waxen wings and melts the fortunes of Icarus and Daedalus. Then decide your own fate, when a mysterious box is found and stirs your curious mind.